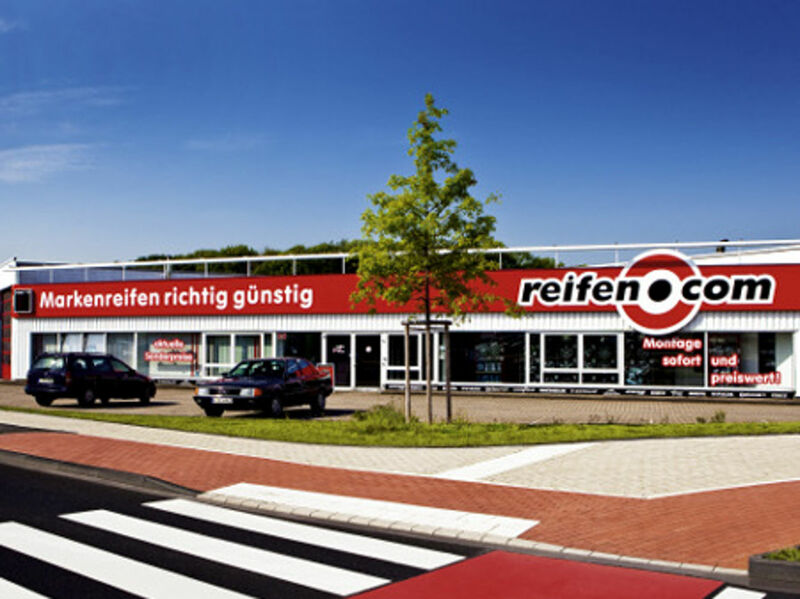 Since 2006 you can find your reifen.com branch in Cologne’s district Ossendorf, more precisely at Mathias-Brüggen-Straße. On a sales area of 200 square meters We introduce new rims, tyres and accessories to you, which you can of course purchase immediately. Our sellers are happy to support you with your choice and consult you regarding suitable rims. 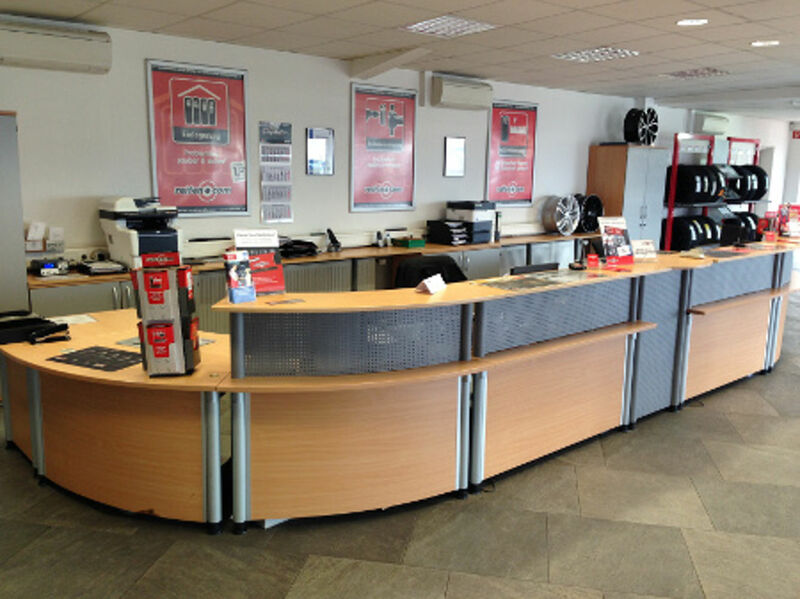 Visit our tyre trade in Cologne-Ossendorf and give your vehicle into the experienced hands of our employed fitters. We have an own garage with three lifting platforms as well as a modern platform for axle alignment. Our staff consists of trained motor vehicle mechatronics engineers and motor vehicle mechanics that have a good eye for damages on your vehicle beyond the tyre change. Should we see damage in need of repair during the tyre mounting (passenger car up to 24 inch, motorcycle up to 21 inch) at the lifting platform, we inform you about that of course. During peak season we employ further fitters to guarantee a faster appointment and a faster mounting. Next to the mounting and the introduction of new winter tyres, summer tyres and rims, we present a wide tyre service. This includes among others the filling of the tyres with tyre gas as well as hub cleaning. Would you like to have fancy rims or are you looking for tyres with special characteristics? Our sales staff will consult you of course. To store your tyres safely throughout the winter or summer months, we provide 850 storage places. 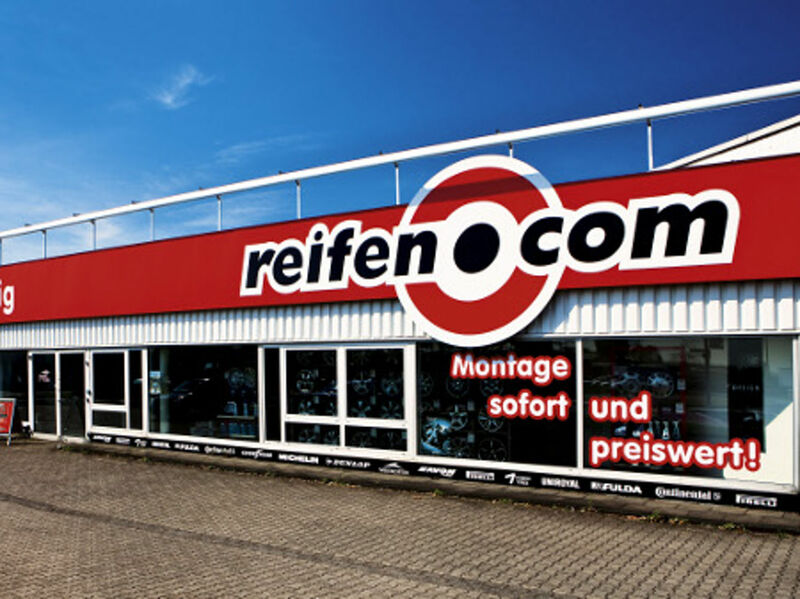 You do no longer need to store the tyres at your house and take care of a safe storage place but only need to make an appointment with our reifen.com branch in spring or autumn to get through the next season safely. The reifen.com branch is in the district Ossendorf and it is easy to reach it there. It is between the autobahn A57 and A1 so that you can find us from the north as well as the south fast. Leave the A1 at the exit Cologne-Bocklemünd and stay at Venloer Straße until you reach the west graveyard (Westfriedhof). Now you can turn left into Militärringstraße, and get to Mathias-Brüggen-Straße directly from there. Coming from A57, you can leave the autobahn at the cross Cologne-North and drive to us directly via Von-Hünefeld-Straße. 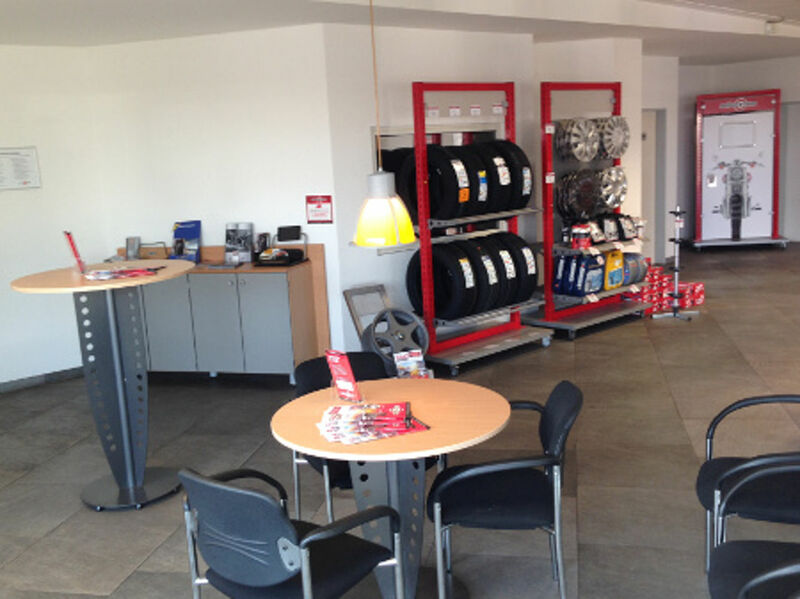 In Cologne you can also find us at our branch in Cologne Hahnwald. Would you like to be convinced of our knowhow and arrange an appointment? Just call us or drive to us. We would be happy to consider you a regular customer soon.